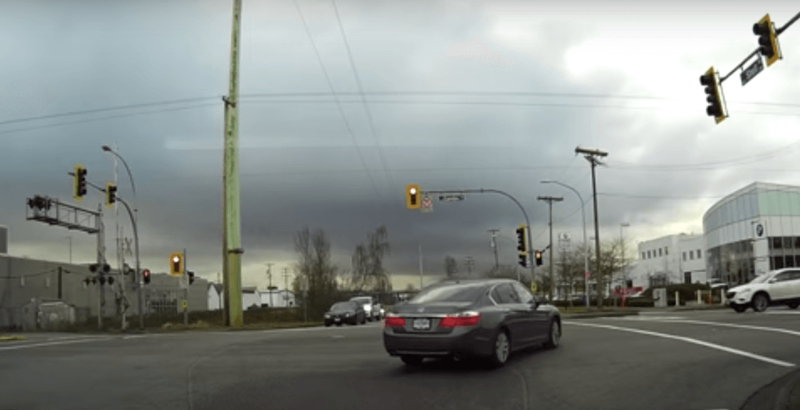 Video has surfaced online that appears to show drivers in Richmond running a series of red lights, all within the span of 10 minutes. Posted to YouTube by user am0s.x, the cars can clearly be seen treating the red lights as nothing more than a suggestion. The vehicles in the video include a Honda Pilot, as well as a silver Toyota Highlander. While no one appears to have been hurt by the reckless driving behaviour in this particular instance, it should go without saying that in addition to being completely illegal, running red lights is ridiculously unsafe.